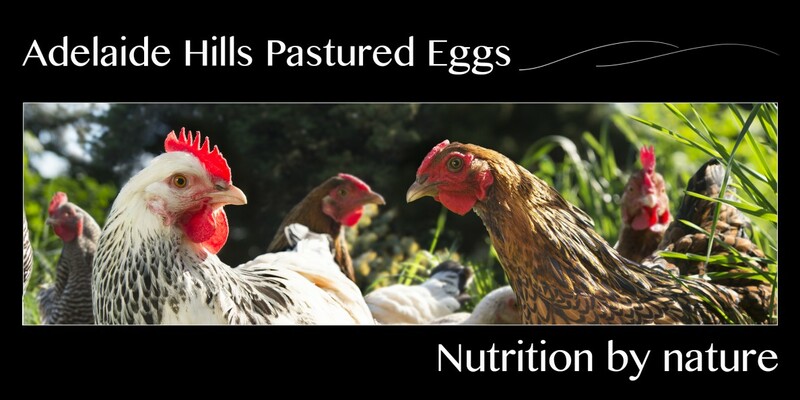 Posted on April 1, 2016 April 1, 2016 by Adelaide Hills Pastured EggsPosted in Free Range Eggs, Pastured Eggs, UncategorizedTagged Eggs, Free Range, Pastured Eggs. Bought 2 dozen last week. Great eggs and well worth the little bit extra they cost if only because we Know the chooks are treated decently. For Coles & others to even think that the public agree with them that 10,000 chooks per hectare is “Free Range” is an insult. HI Rob, yes we agree wholeheartedly, the major chains are not interested in your health and nutrition and if they can make a profit and just provide any old garbage product then they will. Its the consumers who then votes with their feet/money and makes the best choice for themselves. We appreciate the feedback on our eggs, we think they are pretty special too! But still no Real Eggs available at Hahndorf Fruit & Veg!. Hope it won’t be long or else will have to come into Mt B on Sunday which is a bit of a pain! Never mind, we still love you! Have spoken to Angelo at Hahndorf and Fruit & Veg and promised him that as soon as the new girls are laying we’ll have yummy pasture raised eggs on the shelves again. We are hoping in the next 2 weeks they’ll be back on sale again!